I’m not sure how I sliced off a chunk of skin from my left index finger while we were at the drug store the other day. But I couldn’t get the thing to stop bleeding. While I was digging in my purse for tissues, my daughter, Lauren, was scouring the aisles when she came across a new product that speeds coagulation. It’s called Wound-Be-Gone. Though she sounded like an infomercial, I have to admit Lauren was right. My left hand looks like a “before” picture for burn cream, eczema medicine, and anti-bacterial ointment. The battle scars are from my curling iron, our oven, and several particularly menacing grocery store rotisserie chicken-heating units. So, to my daughter’s credit, Wound-Be-Gone was a lucky find. Lauren’s slick salesmanship aside, the primary reason I made the jump from casual browser to paying customer was because the prospect of parting with $19.99 plus tax was less painful to me than the embarrassment and inconvenience of hemorrhaging all over the floor at Rite Aid. The manufacturers of Wound-Be-Gone made the sale because they met me at the point of my pain. And, in the end, every sale does the same. The rub is how to articulate your ability to meet needs. 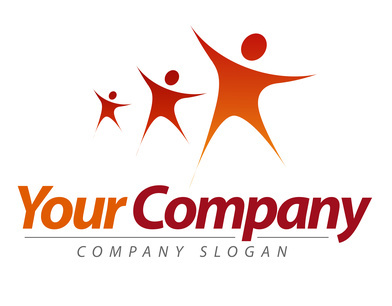 You can do it with the name of your company, the name of your product, your slogan or your advertising campaign. Or, better yet, with all of the above. Pain Point: My house is a disorganized, undecorated mess. Pain Point: I’m so sick that I can’t sleep. Pain Point: I have to deliver this package right away or I could get fired. To make sure you are addressing your prospective customers’ points of pain, you need to define your Unique Sales Proposition. The reason I recommend creating a USP as a first step is because it will force you to look at your offering from the end user’s point of view instead of from your own. The good news is that you can create and support a good USP no matter your budget. Ask your friends and business associates for ideas. A jewelry store owner and former member of my networking group developed a slogan by asking us for ideas. He finally decided to go with Everything Fine at Kelly’s on Vine. And while it isn’t necessarily my first choice, because it doesn’t clearly communicate his Unique Sales Proposition, it’s catchy. So he should use it with abandon. Once you settle on your tag, splash it on your business cards, letterhead and website and in your email signature. If your budget puts you in an either/or situation, spend it to hire someone to define your trademark instead of on the advertising to promote it. With social media marketing and directory listings, there’s never been a better time to advance your brand for free. And when business improves and your budget increases, you’ll be proud of what you’re promoting. Find an agency to help you come up with a strategy to compliment your USP. One of our clients, Sandra, is a doctor of optometry. Before coming up with a tagline for her practice, we reminded her she is selling more than eye exams, glasses or contact lenses. She is offering the promise of clear vision. To accentuate her goal of superior customer service, we came up with a slogan that showcases her USP, Eye Focus on You. And, I’ve got a great spokeswoman on deck if she ever wants to do an infomercial.